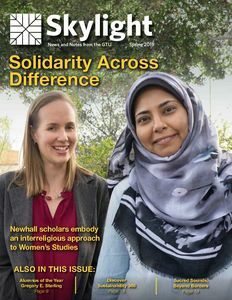 SKYLIGHT magazine highlights the people, programs, and progress of the Graduate Theological Union. In Fall 2017, we gave our GTU magazine (formerly known as CURRENTS) a new name and a fresh design, and expanded the content so we could share even more of the good news about what's happening at the GTU. Below you can check out the online edition of the latest issue (and an archive of other recent issues). 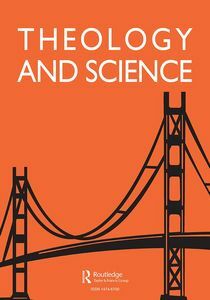 Theology and Science is the quarterly, peer-reviewed journal of The Center for Theology and the Natural Sciences (CTNS) at the Graduate Theological Union. It features articles, editorials and book reviews on a variety of topics in the scholarly, interdisciplinary field of theology and science. CTNS members receive current issues in print, as well as online access to the current and all former issues. Please visit https://www.tandfonline.com/toc/rtas20/current for the current issue and to learn how to subscribe/become a CTNS member. 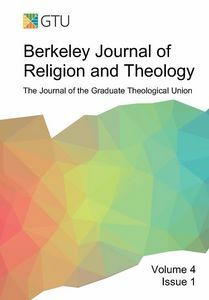 Established in 2015 by GTU doctoral students in coordination with the dean’s office, the Berkeley Journal of Religion and Theology (BJRT) is a diverse forum for the type of cutting-edge scholarship in religious studies, philosophy, and theology that characterizes the GTU. Visit the journal’s website at bjrt.gtu.edu to review past editions online, and find out how you can contribute. BJRT welcomes articles and book reviews from GTU alumni, students, and faculty, as well as other scholars who share the GTU’s commitment to bring the wisdom or the world’s religions to the critical challenges facing us today. Submissions for the next regular issue (Vol. 5, no. 1) are due by February 1, 2019. Visit bjrt.gtu.edu.